Last Thursday the big accouncement was made for Cambridge’s new Gaslight District, a total remake of the City’s Southworks shopping centre. The $100m+ project will feature two 20 storey condo towers which will make up the new Southworks shopping experience. There will be a high tech incubator space in partnership with Conestoga College, which is a first for Cambridge. And there will be amenity space and artist workspace as well. The whole project looks could be absolutely transformational for Cambridge as a city. The whole concept seems to be the next step in what seems to be a much larger plan City Council has executed to this point. While projects like the pedestrian bridge over the Grand River was questioned by many(myself included), this project clears up some more of the big picture plans for Cambridge’s future. In the Downtown Galt core the City has allowed multiple, large scale condo projects to take shape. First the Grand Lofts, a former factory that was converted into condos. Then the Spruce Street Lofts, in the converted Narrow Fabric Weaving & Dyeing building. Followed by the towering Waterscape and The Grand Condominiums. Then the RiverFront Condominiums. All of these projects speak to the fact Cambridge has been trying to increase population density in the Galt core. Getting people living in the core was seemingly the first step in the journey to this point. While City council has tended to get flack for many of the individual projects that have been undertaken in the last decade, there’s definitely starting to be a clearer view of what exactly Mayor Doug Craig and council has been orchestrating. The Dunfield Theatre has been a popular attraction since it opened. The Idea Exchange Old Post Office project is still a work in progress, but it speaks to the concept of a progressive minded city plotting a course towards the future instead of the past. The pedestrian bridge that will connect Downtown to the new Gaslight District will definitely help businesses on both the river. The Mayor has spoken of a Back To The River initiative in 2014 and I’ll admit I didn’t quite get it. Now seeing all these moving parts come together you start seeing an overarching view of how it all comes together. Get people living in and around the core. Build amenities that make the core more accessible and liveable. Bring jobs to the core that will allow people to live, work and play in the city they call home. 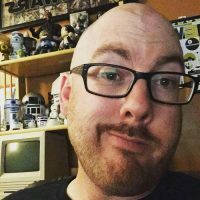 I’m somone who has worked in the tech space in Cambridge. There really isn’t much of a tech sector here so to speak. 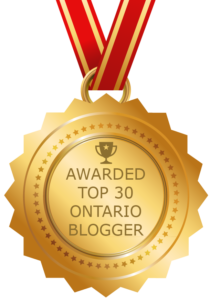 If you want those kind of jobs you have to leave this city and work in Kitchener, Waterloo, Guelph and beyond. The idea that Cambridge is building a tech incubator to attract startups is downright refreshing. Too often has Cambridge let the focus on manufacturing jobs cloud the idea that they need to be thinking of what’s going to employ the next generation of workers. Kids coming out of school with a college or university education shouldn’t have to leave Cambridge to find gainful employment. If you ever have a chance, go to Downtown Kitchener on a work day. It is really stunning how many people are out and about. So many startups have clustered in the area you can see that influence at any time during the day. I had the opportunity to walk around Victoria Park on a nice fall day recently and it was astounding how many people were walking, sitting, talking and playing in the park. This is the vision Cambridge is shooting for. The idea of having people walking around, enjoying the beautiful river promenades at all times of the day. As someone who’s worked in a few different business parks I can tell you, I’d love opportunities to enjoy beautiful scenery on my lunch break and have viable amenities within walking distance. If you haven’t spent time in Downtown Galt recently, I definitely recommend checking it out. There seems to be a palpable change going on down there. Independent small businesses popping up all over the place. There are events held in the core or near City Hall almost every weekend during the summer. There feels like an air of renewal going on. Seeing the old and busted hotel turned into a Coffee Culture was definitely a win for the core. Businesses like Monigram Coffee Roasters, Bake Shop On Main, Brick & Mortar Market, Clover & Chrystalis, Hungry Ninja and Malasada World(among many others) have popped up over the last few years and are genuinely awesome places to spend your money. The Gaslight District and renewed Southworks shopping only helps to strengthen these small businesses. 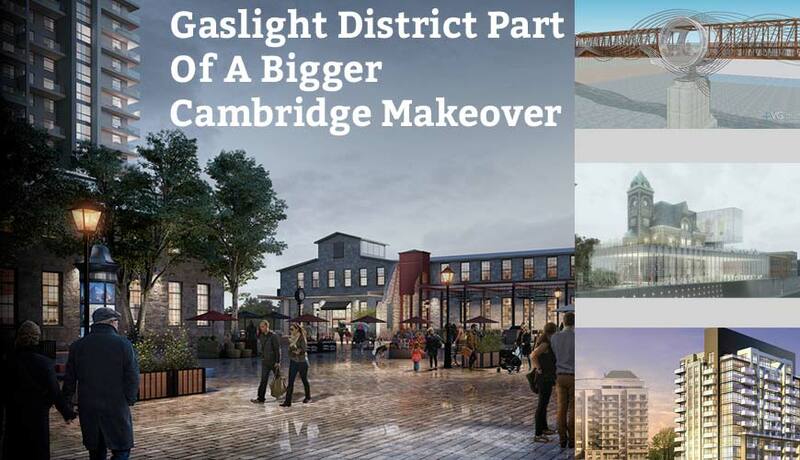 One of the biggest takaways I had from taking in the presentation was that the Gaslight District really served as a bold declaration of what Cambridge has up its sleeve. Projects like The Tannery and Breithaup Block in Kitchener have been smashing successes for Kitchener. Now Cambridge wants in. They have heritage assets they can turn into eye catching workspaces as well. I’m just happy that our city has found partners willing to partake in this bold transformation that has been proposed. HIP Developments is in the process of totally transforming Hespeler with The Standard projects in the downtown core, and is now stepping up to transform the other end of town. 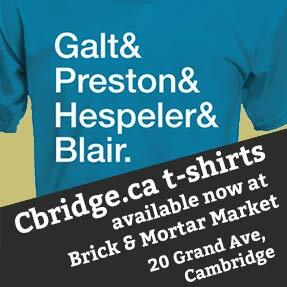 For too long Cambridge has languished in the shadow of KW. It’s great to see our city finally forging its own path forward. PreviousPrevious post:Cambridge’s New Gaslight District / Existing Southworks ComparisonNextNext post:What’s Missing In Cambridge? This project sounds exciting but I hope the architects spend some time looking at the type of structures they will be building next to and be influenced to use much of the same type of materials in their construction. Classic Canadiana with a modern twist would be nice and add to the warmth of the area and make it more inviting for all. Agreed. Getting a good match of the old and new will really be crucial to a project like this. Great write up James. I too was impressed by the brain trust used in putting this project together. People sometimes miss the forest when looking at the trees. As someone who worked on the corner of King & Union for the better part of 40 years, I’ve seen first hand the transformation of KW. Whether you believe the transformation was for the better or worse; well I guess that’s personal opinion. I like to think to the future, and the thinking that went into this is futuristic for Cambridge. Our history is manufacturing. With this project, and partnered with Conestoga, our future is about Advanced Manufacturing. High skilled jobs often underpin thriving economies. This is finally something to build on and I so hope people will see this as a good start. I’m not sure who coined this phrase but I often reference it when discussing the future. “Objects in this mirror are closer than they appear”.